'My husband died, my life collapsed.' On a February morning in 2008, Joyce Carol Oates drove her ailing husband, Raymond Smith, to the emergency room of the Princeton Medical Center where he was diagnosed with pneumonia. Both Joyce and Ray expected him to be released in a day or two. But in less than a week, even as Joyce was preparing for his discharge, Ray was dead from a hospital-acquired virulent infection, and Joyce was suddenly faced -- totally unprepared -- with the reality of widowhood. 'A Widow's Story' illuminates one woman's struggle to comprehend a life absent of the partnership that had sustained and defined her for nearly half a century. Joyce Carol Oates shares the derangement of denial, the anguish of loss, the disorientation of the survivor amid a nightmare of 'death duties', and the solace of friendship. She writes unflinchingly of the experience of grief -- the almost unbearable suspense of the hospital vigil, the treacherous 'pools' of memory that surround us, the vocabulary of illness, the absurdities of commercialized forms of mourning. 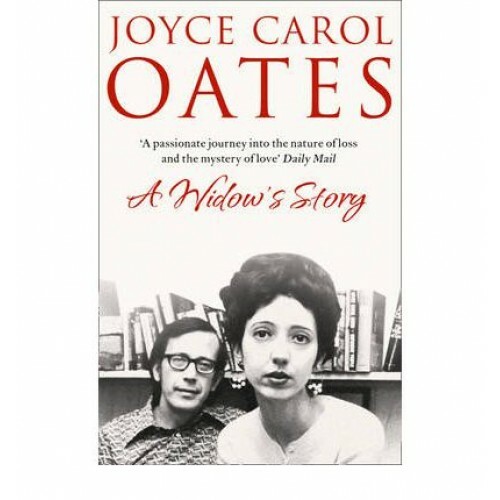 Enlivened by the piercing vision, acute perception and mordant humour that are the hallmarks of the work of Joyce Carol Oates, this is a extremely moving tale of life and death, love and grief.